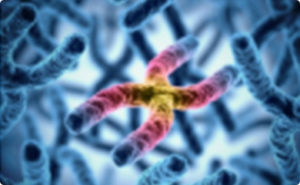 CHICAGO — A distinct pattern in the changing length of blood telomeres, the protective end caps on our DNA strands, can predict cancer many years before actual diagnosis, according to a new study from Northwestern Medicine in collaboration with Harvard University. The pattern — a rapid shortening followed by a stabilization three or four years before cancer is diagnosed — could ultimately yield a new biomarker to predict cancer development with a blood test. This is the first reported trajectory of telomere changes over the years in people developing cancer. been trying to understand how blood cell telomeres, considered a marker of biological age, are affected in people who are developing cancer. But the results have been inconsistent: some studies find they are shorter, some longer and some show no correlation at all. Other Northwestern authors include Brian Thomas Joyce, Tao Gao, Lei Liu, Yinan Zheng, Frank J. Penedo, Siran Liu, Wei Zhang. Andrea Baccarelli, from Harvard School of Public Health, is the senior author. The research was supported by grants R01ES021733 and R01ES015172 from the National Institute of Environmental Health Sciences of the National Institutes of Health.